A warm welcome awaits you in Praia da Luz. Come to stay at our apartments in the Algarve and youll have a great Holiday. Luz Apartments offer the ideal location for your perfect holiday. 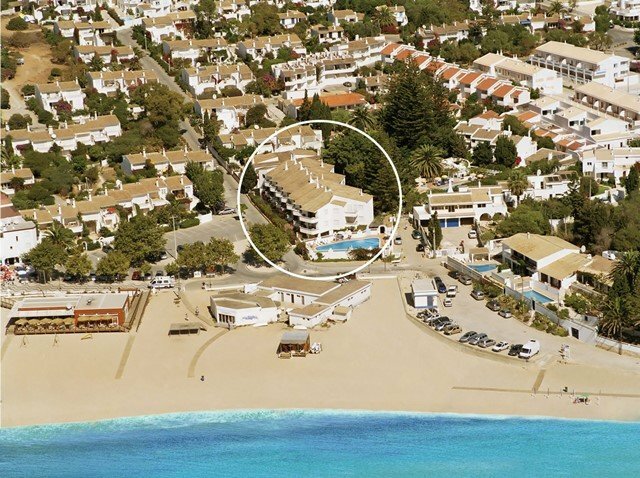 The apartments are situated in the village centre only 20 metres from the safe, pictuesque, golden sandy beach. All apartments reflect a traditional Portuguse style, housed in a low rise building of 22 Self contained Apartments. The One Bedroom apartments are on the first and second floor with balcony and Sea View. All apartments have a fully fitted Kitchen with oven, fridge, microwave, electric kettle, toaster and coffee maker. Wi-Fi- Individual routers in all units. Reduced tariffs. Maid service is included with linen and towel change. There is a good size Swimming Pool with Sun Beds and Shades also a Pool Bar (Summer Months only). Praia da Luz is a small friendly resort with many Restaurants, Cafes, Bars and Shops. There are well stocked supermarkets who will deliver groceries etc. There is a Post Office, Banks with ATM machines, English speaking Clinic, Newsagents, Hairdressers etc. The Historic town of Lagos is only short drive away.